ADAMA is giving four outstanding ag retails a grand prize of $15,000 each to spend on worthy causes in their community. 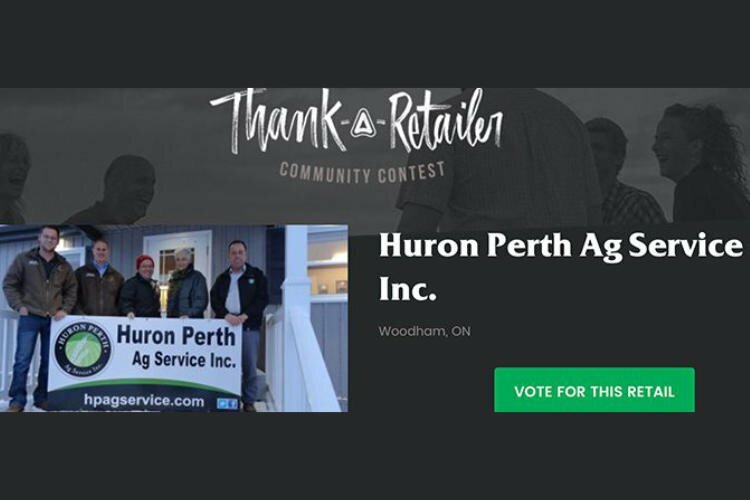 Huron Perth have nominated themselves for this competition, and will donate proceeds from their in to Jessica’s House Hospice Building Project. Vote now to help them win! HPA staff are easily recognized in the community – active and interested in local clubs and charitable efforts. This year, for the first time, HPA Service entered a float in both Exeter, and Lucan’s Santa Claus parades. The Exeter Lions Club, Bluewater-Zurich skating club, Kirkton Fall Fair and Farmers Curling Bonspiel are some of the organizations and events that receive sponsorship and leadership from HPA Service. Jeff and Drew annually initiate and host the Farmers’ Curling Bonspiel, coordinating local farmers and industry partners who join for a “fun” day that results in a generous donation to the South Huron Hospital Foundation. HPA service is definitely a community player. Near and dear to the hearts of many in our community is the current campaign for a residential hospice to be named “Jessica’s House”. This project is being organized by the South Huron Hospital Foundation, and is so named, in honour of a young woman, Jessica Hamather who lost her battle with a rare form of cancer last year. Huron Perth Ag Services plan to use the $15,000 donation to assist with funding this facility, that , in addition to current services and programs ,will expand to include a Bereavement Support program, a Men’s Prostate Cancer Support group, a Suicide support group, a Children’s Bereavement Support program, Horticultural Therapy sessions, and a Day Wellness program- for individuals diagnosed with life threatening illnesses. At Jessica’s house, patients and their families will receive the medical, and emotional care that is so very much needed at the end of life. Truly a very sad but worthwhile cause.